In the 2017-2019 Biennial Budget, Governor Scott Walker signed into law a provision to create a dashboard where the public can view and compare local government financial data. 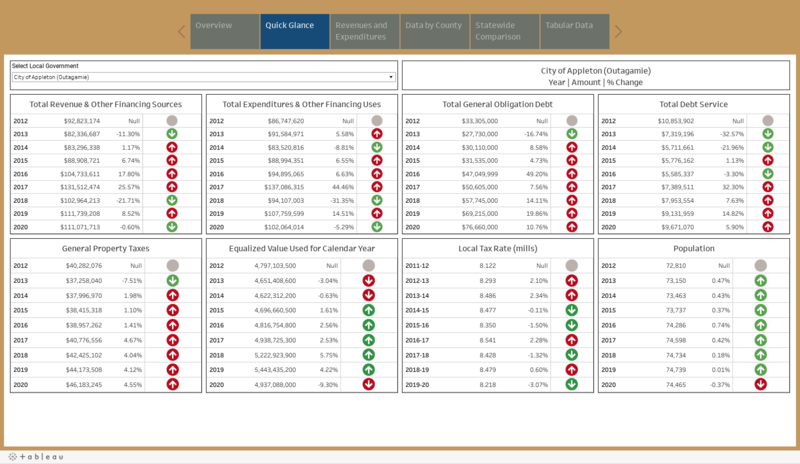 The dashboard provides access to information about local taxes, municipal revenues and expenditures, an overview by county, as well as an ability to do a statewide comparison. Below are the dashboard, instructions and helpful references.